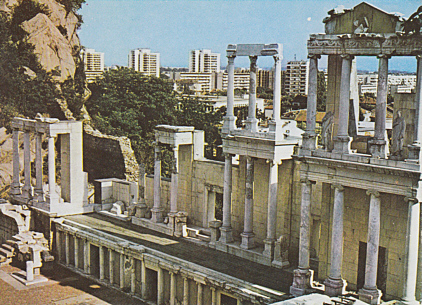 Ancient Roman theatre, built in the 90s AD. Excavated 1968-1979. Reverse Text: "Plovdiv, Antichniyat teatr; Plovdiv, Antichny teatr; Plowdiw, Das antike Theater"